SPOT Festival is THE festival Good because Danish is looking forward to the most each year and 2018 is no different. 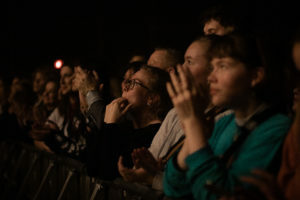 Because where else to go if we want to find out what’s new and hot in Danish music, than to Aarhus in May? The answer is simple: there is no other place to be! 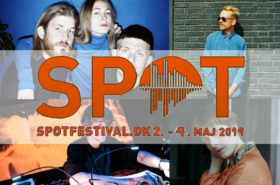 The line-up of this year’s SPOT Festival is shaping up pretty awesome and we started digging into it to see what are our top #mustsee acts. Check out the blog the next weeks to read which SPOT Festival concert we will attend for sure. This powerful girl hit us hard with her single “B**ch U Look Good”. Her music says one thing for sure and it says it well: rock’n’roll will never ever die and there is tones of space for confident, rockin’ women in the genre. 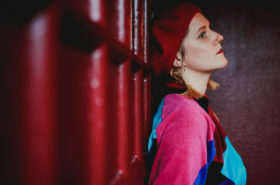 Listen to her songs, mark her name in your SPOT Festival calendars and before you see Rebecca Lou live, read a short interview we did with her. 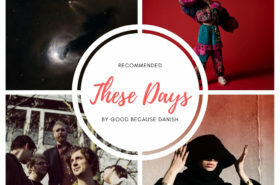 Good because Danish: B**ch which looks good these days in the music world? Rebecca Lou: I think Brooke Candy looks hot AF. Deadly almost.. ! I also think the lead singer from Pale Waves, Heather Baron. looks reaaaally bitchin’ good. AND LIZZO! She’s on fire. Lol, there are too many hot women in the music industry – it’s hard to pick just one! What is “the best-looking element” of Rebecca Lou’s music? Why rock’n’roll and not pop, hip-hop or classical music? I tried different genres when I was younger. Like Jazz, classical and pop. But nothing ever really stuck with me like rock music did. The high energy vibe of the genre just really speaks to me, it makes me feel like myself. And I was always told to lower my voice in music class, and that was really hard for me!! Plus it’s a really great outlet if you’re pissed off about something. Therapeutic almost. Your favourite band/artist of all times? Can’t choose! Totally not a fair question. But I love Yeah Yeah Yeahs and everything Karen O. They haven’t made a bad album yet. And maybe Bob Dylan also. He speaks to my emotions on a weirdly deep level. What can we expect from Rebecca Lou’s concert at SPOT Festival?